Trunk Songs, the critically acclaimed original revue that was originally performed in Los Angeles & New York, made its Las Vegas premiere at the Onyx Theatre in 2013, and is now coming to our venue! The production, directed by Jay Joseph & Musical Direction by Karalyn Clark; is filled with songs that were cut from shows during try-outs & previews from original shows or Cabaret productions. The songs are written by 3 critically acclaimed composers; Gerald (Jerry) Sternbach, Faye Greenberg & John Kroner. 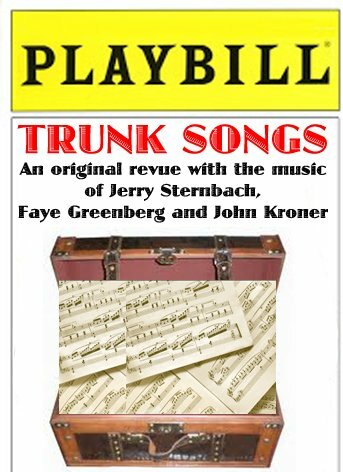 Produced by A Touch of Mystery & More Entertainment Group, Trunk Songs stars some of Las Vegas’ finest talent: Kellie Wright, Gret Menzies, Ben Lowey, Karalyn Clark & Jay Joseph.